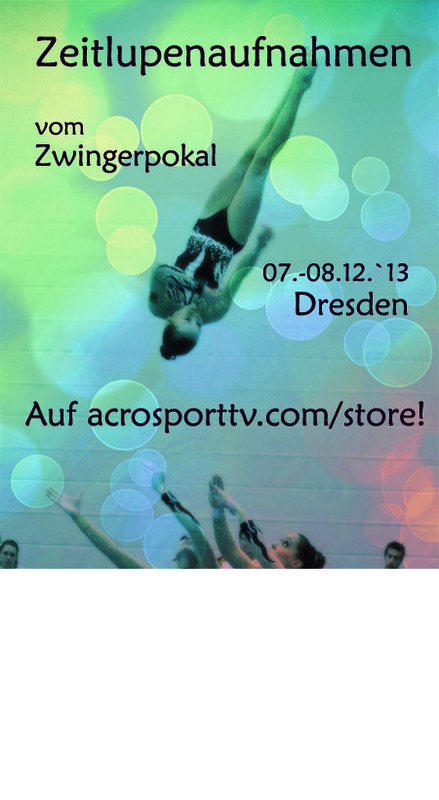 Awesome Photo Package of Acro Cup Albershausen 2013 with all participants. Bestelle alle Zeitlupenaufnahmen von einer Gruppe/ einem Paar beim Zwinger Pokal 2013, aufgenommen mit einer sporttauglichen HD-Kamera. Produktformat: Downloadlink - Get all excercises of one group/ one pair in fully HD and slow motion, shot with a sports camera. Awesome Photo Package of Zwinger Pokal 2013 with all participants. 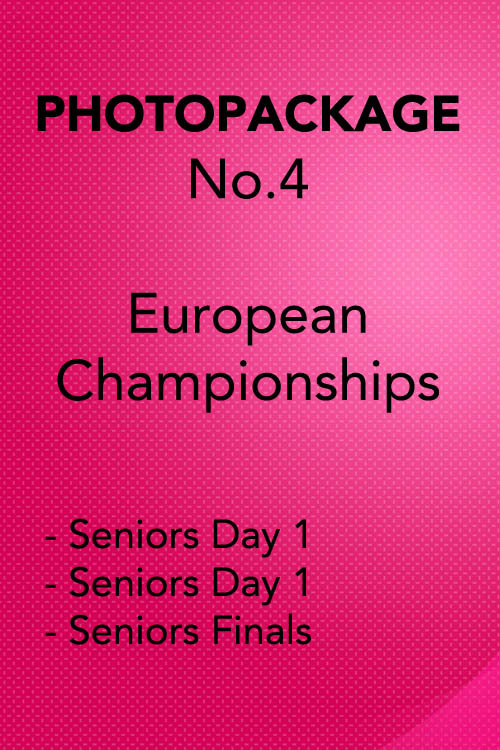 Please mind that we'll need 4 weeks to finish the photo editing. You will recieve a download link. The DVD Production of the 2nd International Zwingerpokal 2013 with all participants. Awesome Photo Package with more than 2.000 photos of DAY 1 (25th of april) Limes Cup 2014 (Juniors Cup & World Cup) with participants since starter ISR, WG/ BAL Eilon Lustigman/ Herkshkovitz/ Mordo. Special: Photoseries of several tempo elements (12 frames per second). 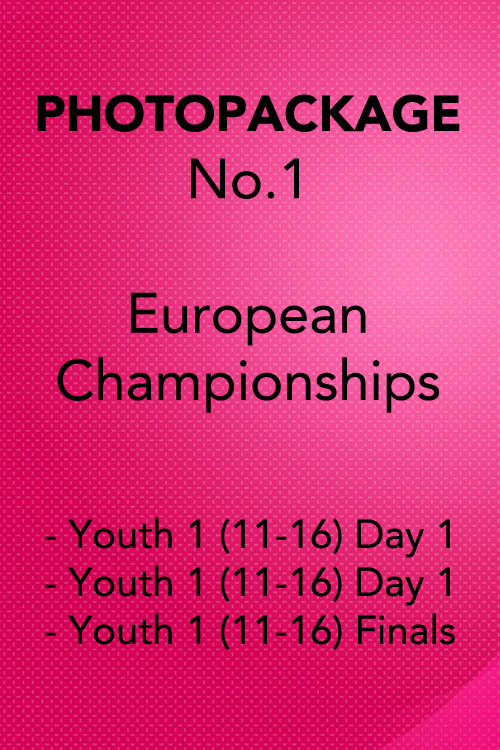 Please mind that we'll need 2 weeks to finish the photo editing. You will recieve a download link. 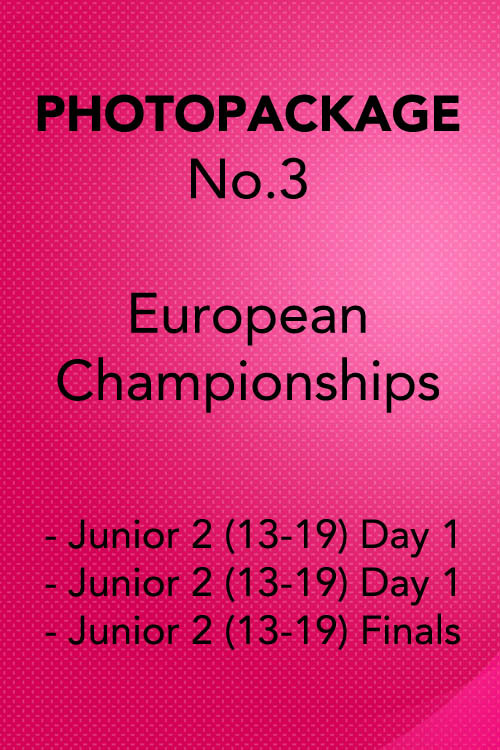 Awesome Photo Package with about 4.000 photos of DAY 2 (26th of april) Limes Cup 2014 (Juniors Cup & World Cup) with all participants. Special: Photoseries of several tempo elements (12 frames per second). Please mind that we'll need 2 weeks to finish the photo editing. You will recieve a download link.